D-Exto stands for Delft Experience Tomorrow. 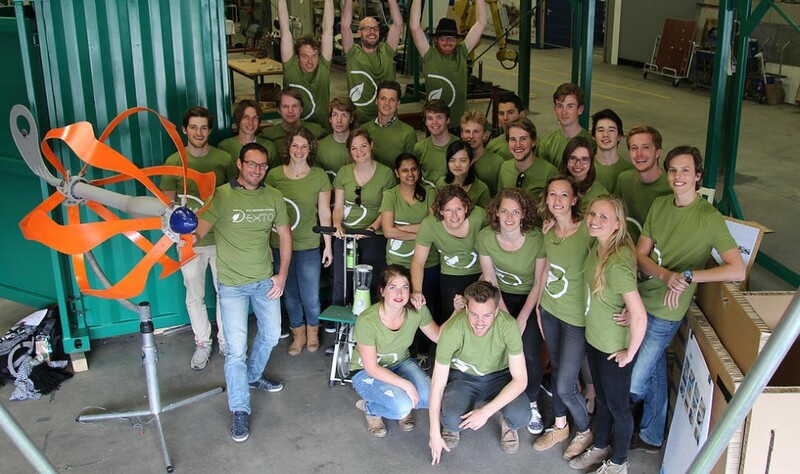 This is an initiative of the TU Delft in order to create a sustainable innovation engine. The formal course is called Sustainable Innovation in Practice and is campus-wide open for all master students of the TU Delft. During one semester, the goal is to invent and construct appealing technical designs or applications in a sustainable pavilion that invites visitors to interact. The pavilion travels to different events and festivals in order to make visitors more aware of sustainability and to develop innovations in collaboration with the market. The main focus is to come up with solutions for practical challenges and to generate startups. For this course, I made structural calculations for the Energy Swing and the pavilion.